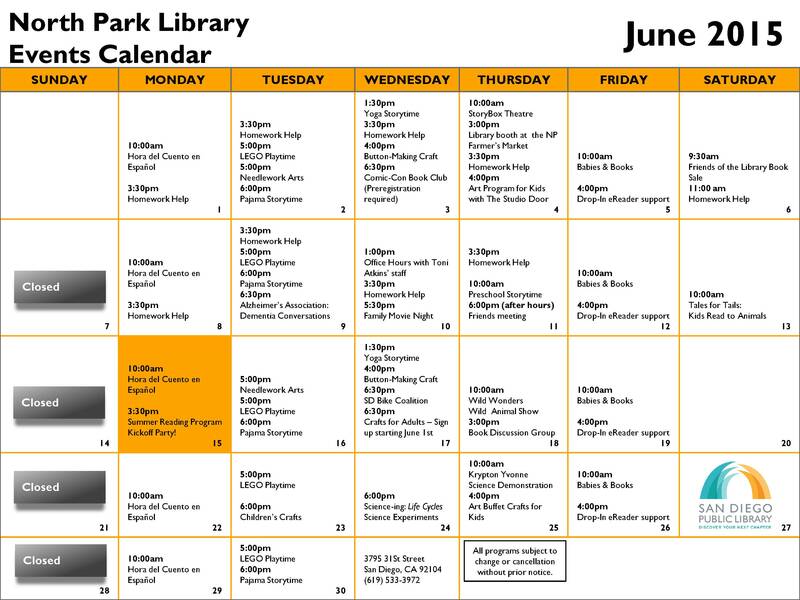 Take a look at what’s happening at the library this month. 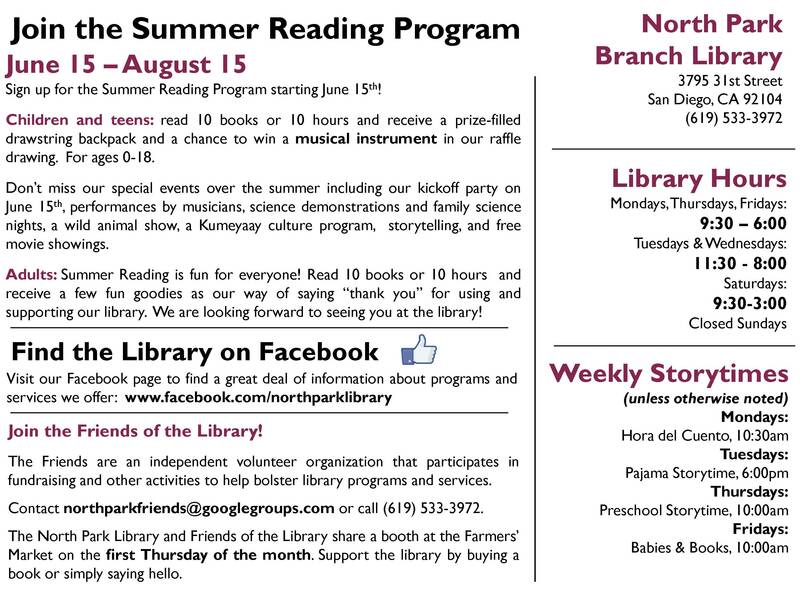 “Sign up for the San Diego Public Library Summer Reading Program starting June 15th! 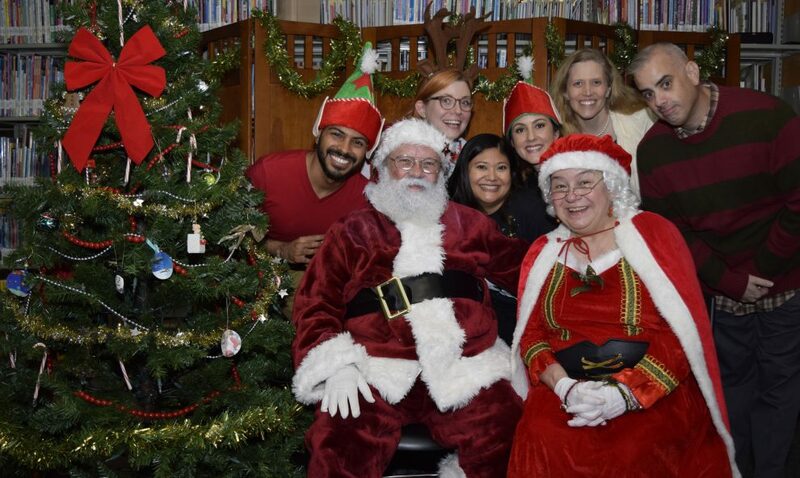 Children and teens: read 10 books or 10 hours and receive a prize-filled drawstring backpack and a chance to win a musical instrument in our raffle drawing. For ages 0-18.